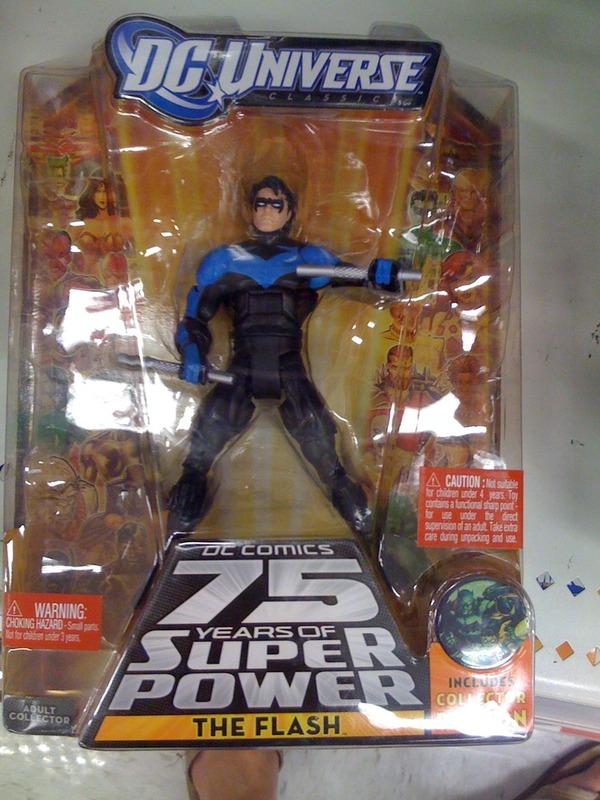 If I were still collecting, I’d pick up this Nightwing…or is it Flash? The box says one thing. Talk about packaging errors. Collectors item? Prolly not. Besides I already have good ole Nightwing at home next to Batman. ~ by darthpastor on July 17, 2010.